These planes look more like Allison engine A 36s than P 51s. 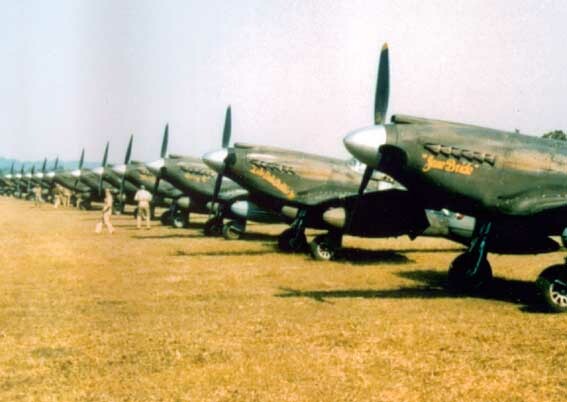 These are P-51A Mustangs of the 1st Air Commando Group based in Burma in 1944 & 1945 and they are, indeed, fitted with Allison engines. Not all aircraft with this airframe and Allison engines were A-36s. These also lack the characteristic chin-mounted machine guns of the A-36.